It’s been right under our nose and yet we failed to accredit it as it truly deserves. 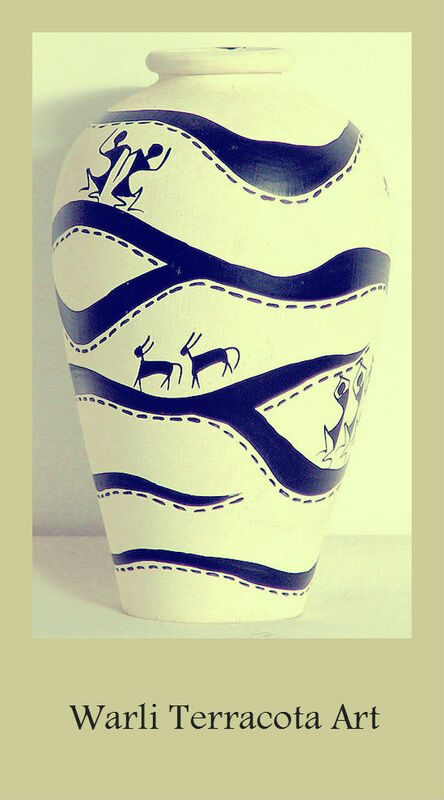 I’m talking about the mesmerising tribal art forms of India. 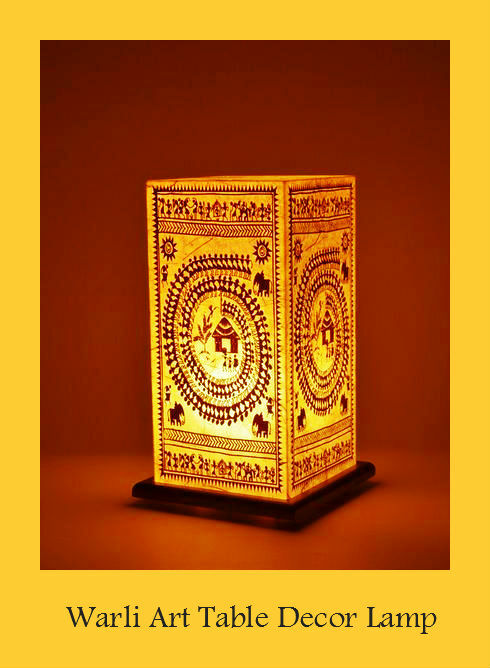 There are many such art forms that stem from the cultural fabric of our country, paintings done in various parts of India, by highly talented yet extremely simple people. The art forms have graced their homes, directly painted on walls as murals, on floors, paper, hide or even leather. 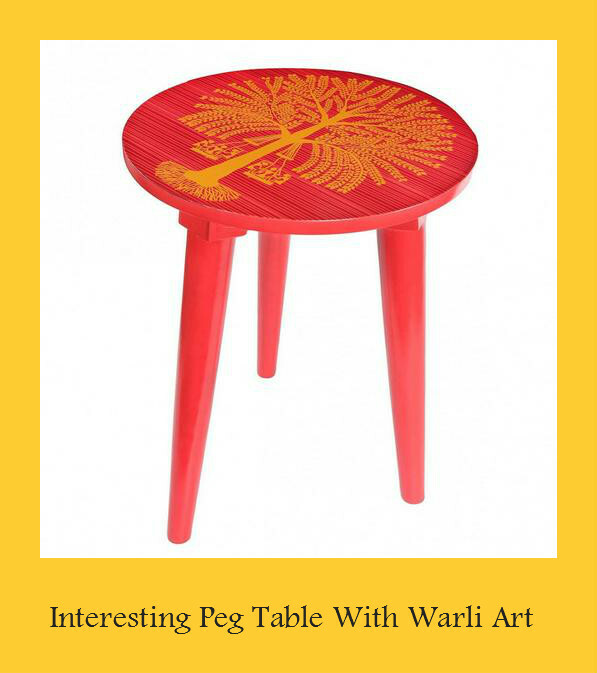 But many modern day homes miss out on the opportunity to bring a little bit of this into our interior decor. 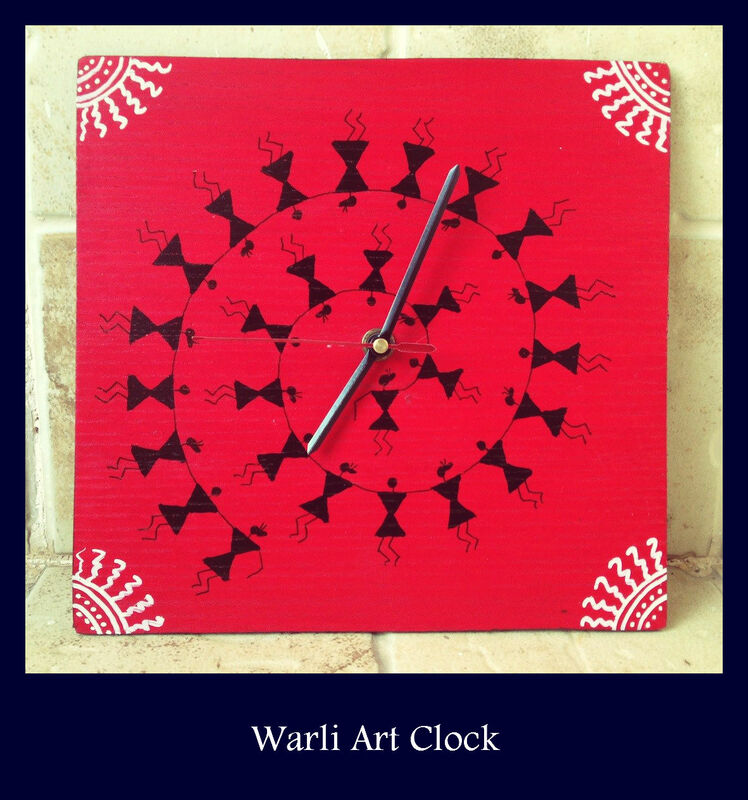 One specific tribal art form that interests me is Warli, the reason is the simplicity of the design. 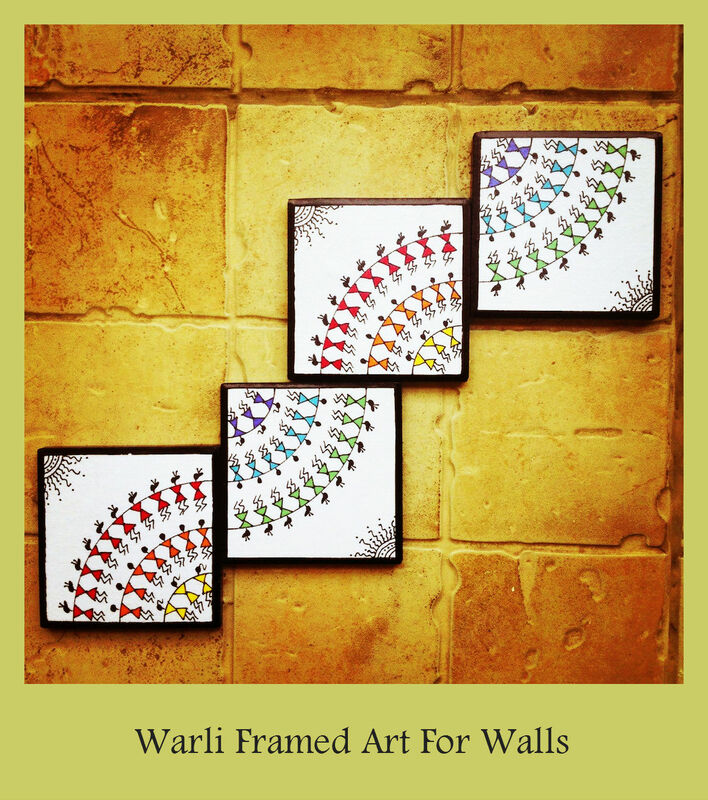 The flexibility of being able to tell any story through painting Warli forms and the sheer beauty of the colour contrasts. 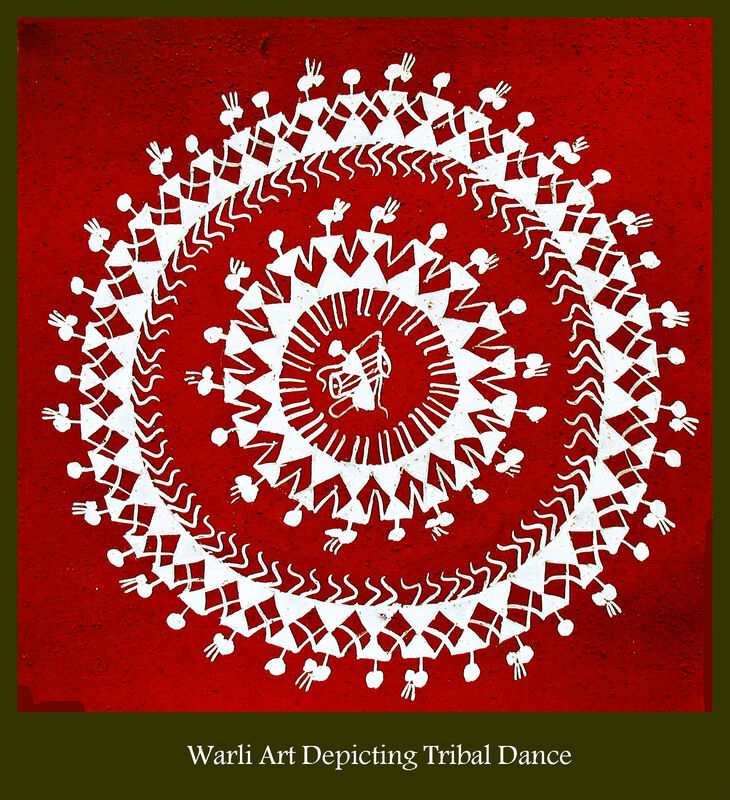 This art form has its roots in the Warli or Varli community belonging to the region between Maharashtra and Gujarat. And unlike many other Indian art forms, does not depict mythological characters. Instead the focus is on daily social life. 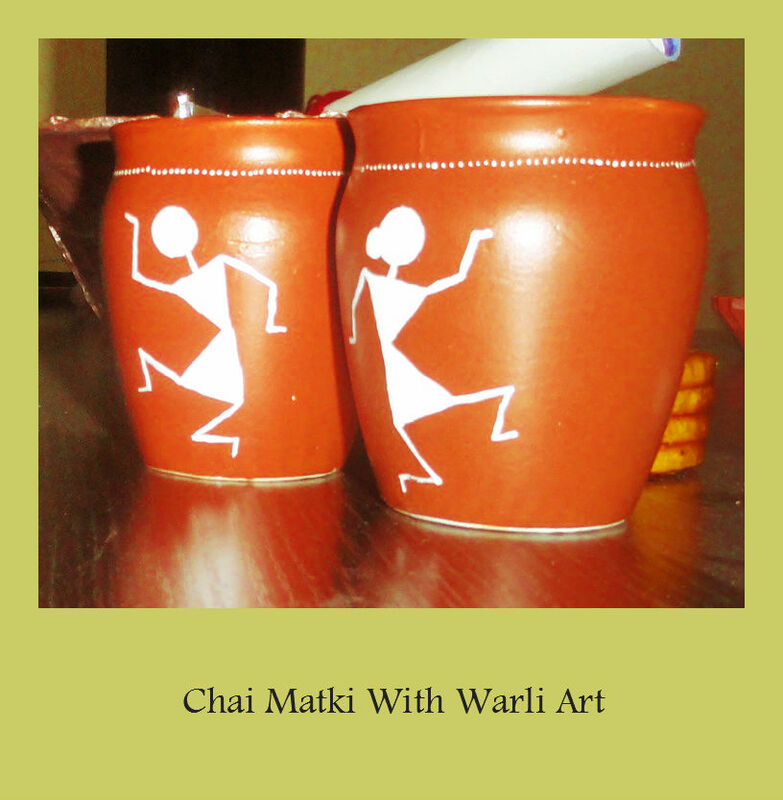 The flat style of drawing surprisingly feels animate as animals, scenery and people come alive through Warli. While the shapes are very simple, usually just consisting of the circle, triangle and square , other nature inspired shapes also appear through the drawings. 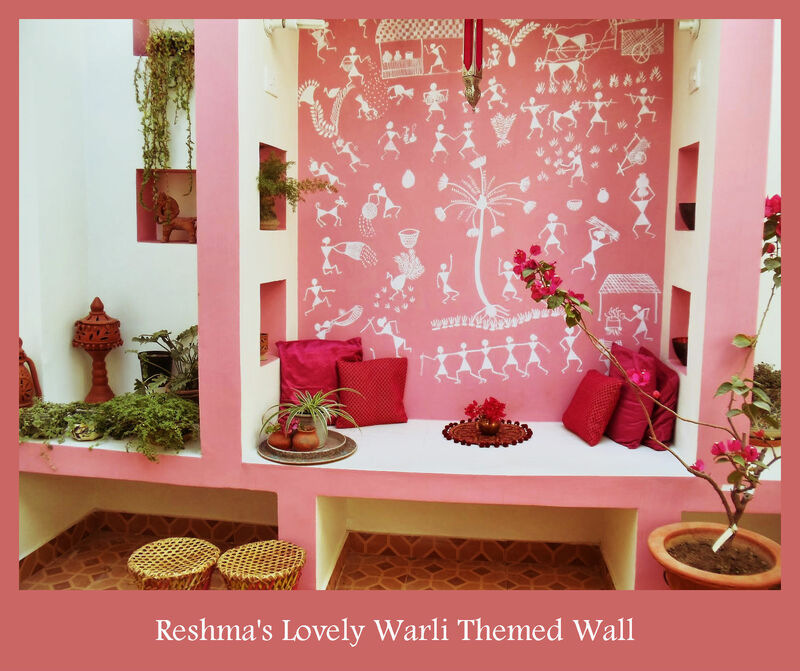 The traditional method is to prepare the wall of a house in maroon or red ochre using a mixture of earth, water and cow dung to ensure longevity of the stain, the Warli figures are then painted in relief in white using a mixture of rice paste water and glue for binding. Apparently the art was done in homes for special occasions ranging from weddings to festivals. Today as it is slowly gaining urban popularity one can see it more often in city areas. 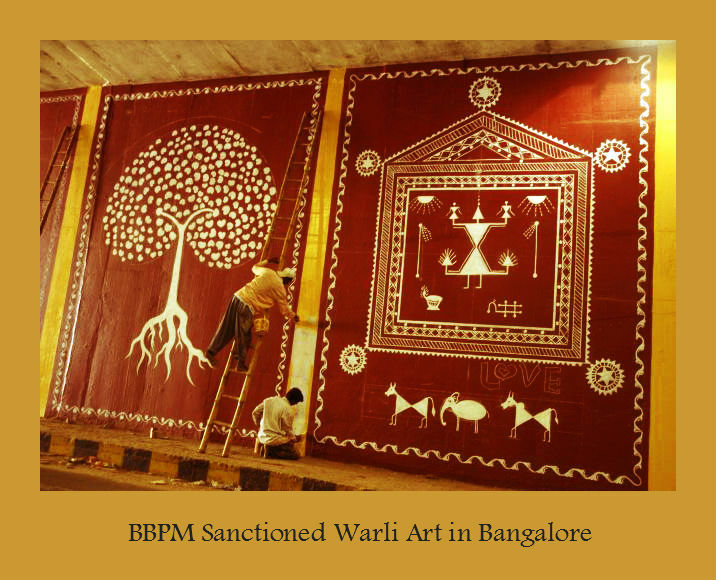 Bangalore has walls painted in public spaces with the Warli art. Sanctioned by the BBPM, these creative stretches provide a break from the monotony of traffic and travel. 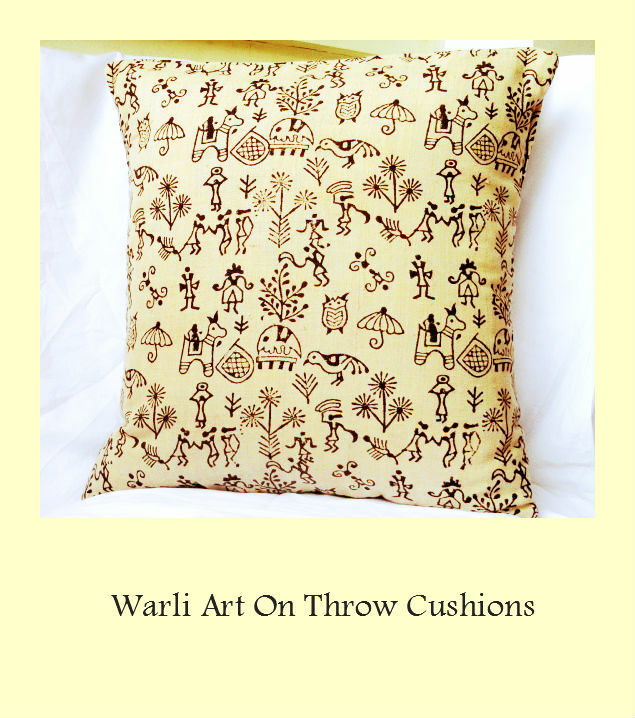 These days noticing Warli themed decor items offer great focal points in Indian interiors, many companies provide a range of Warli inspired decor products ranging from beautifully painted terracotta pots to even throw cushions and clocks. 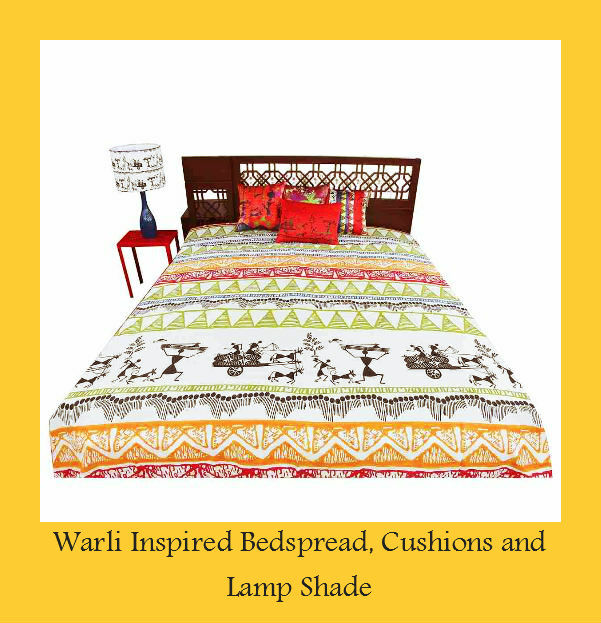 Here are some products available in the market today and can add a little extra charm to your home. I’m sure a couple of these products have caught your fancy and you are wondering how soon you can get them home. 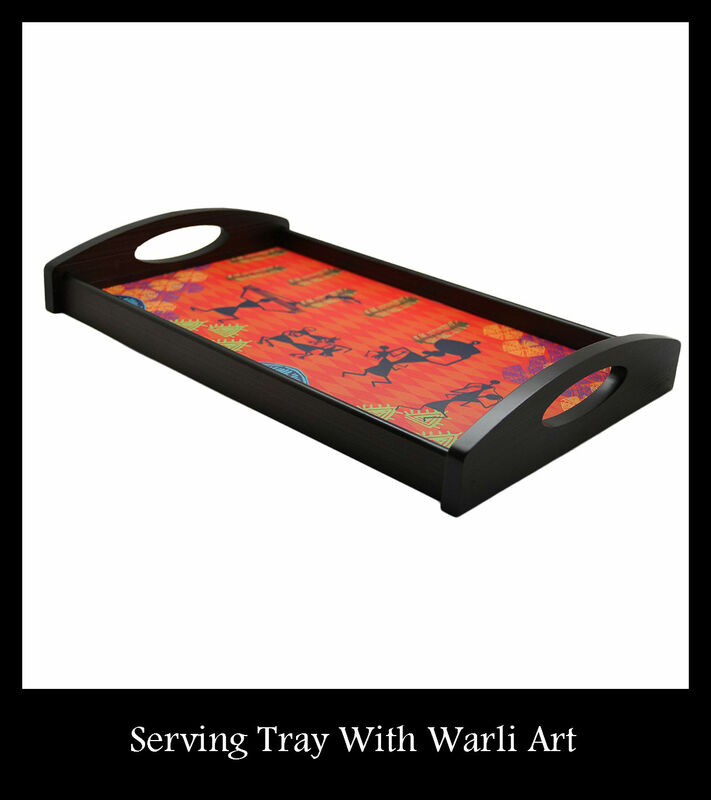 If you are not ready to go shopping, there are some simple ways to incorporate Warli in your existing furnishing as well, such as if you have a plain cushion, how about painting some simple Warli figures on them, or for your plant pots, you can even try out Warli designs on plain furniture as seen in the above product and create some unique decor items for your home! 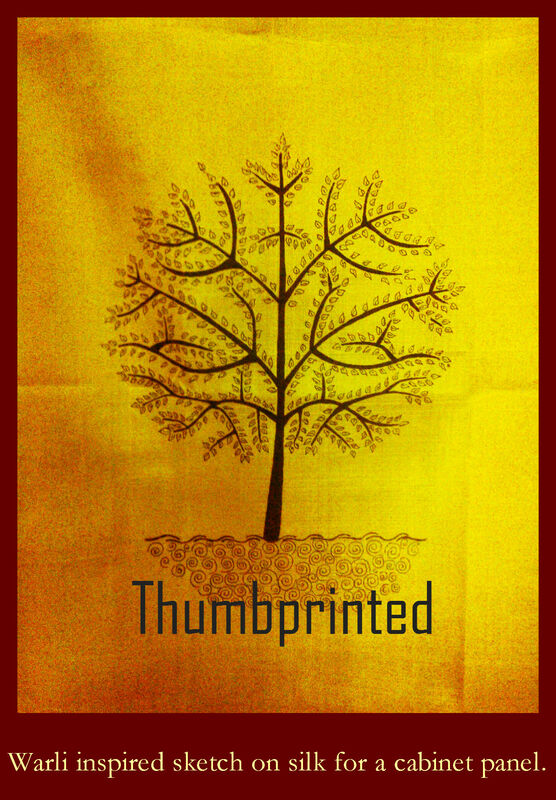 I leave you with a small Warli inspired sketch I did last evening on a piece of silk cloth, that I plan to use in my cabinet door panel instead of glass.